If you love Temple Run for iOS and Android and you have Windows 8, you are in for a treat! A new Xbox Game for Windows 8 is available called The Gunstringer, which takes the Temple Run concept to a whole new level. Run as fast as you can to get away from the ghost and catch up to your target. While running make sure to avoid obstacles by jumping, sliding, or turning. Shoot targets or treasure chests for extra points and achievements. You can collect coins on the way to save up to buy things from the in-game store. This game has two modes: one is story while the other is endless. The story gives you various levels and bosses to beat while the endless mode is like Temple Run in which you run as far as you can and break records. 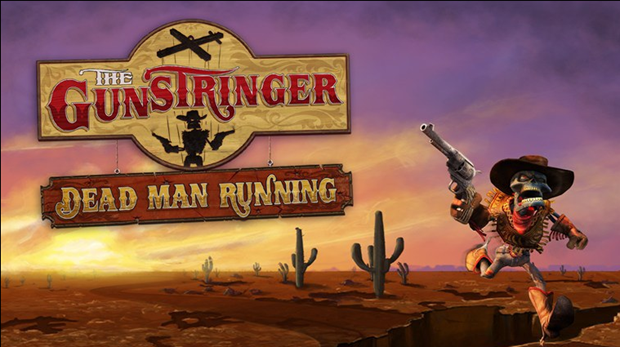 The Gunstringer returns on Windows 8 in this all-new sprint-to-the-finish twist on the wildly successful Xbox Kinect game! Hit the trail at a dead run as you race through three sprawling Wild West locations and 15 levels as the Gunstringer, the legendary skeleton cowboy marionette bent on vengeance. But as the ol’ saying goes—if you climb in the saddle, be ready for the ride! Avoid deadly obstacles, take aim in fast-action shootin’ challenges, collect tasty loot, and battle outlaws—all while being pursued by the hands of Hell! Complete the level-driven Story mode, and then challenge friends for braggin’ rights and loot payouts in three Endless Run levels. Exchange hard-earned loot for new customization options such as weapons, power-ups, and more to aid in the Gunstringer’s quest for the evil bandit! Simple & Responsive Controls: Touch-and-tilt controls offer a fluid and responsive experience. Keyboard and mouse controls are also supported. Two Game Modes: The game features 15 story levels with boss battles along with 3 infinite worlds in Endless Runner mode. Competitive Play: Asynchronous challenges and leaderboards in Endless Runner mode enhance the social and competitive experience. In-app Purchases: Customize the Gunstringer and extend your experience with consumables and downloadable content. Connect Across Windows 8 Devices: Effortlessly continue gameplay across multiple Windows 8 devices for a seamless, connected experience. Player Customization: Spend your hard-earned gold coins and diamonds to unlock outfits and accessories to customize your Gunstringer, and then share photos of your Gunstringer with your friends. Rewards: Rack up coin and diamond rewards for multiple consecutive play-throughs. Each consecutive week increases the reward payout. Future Updates: Updates will include new power-ups, environments, customizable options, and more!